I’m thrilled to announce that our Football Tailgate Party has been featured in Calgary’s Child Magazine! You can read the full party details in the magazine (online version available now) but I’ll share all the party photos with you here! All of the party printables were supplied by Forever Your Prints. 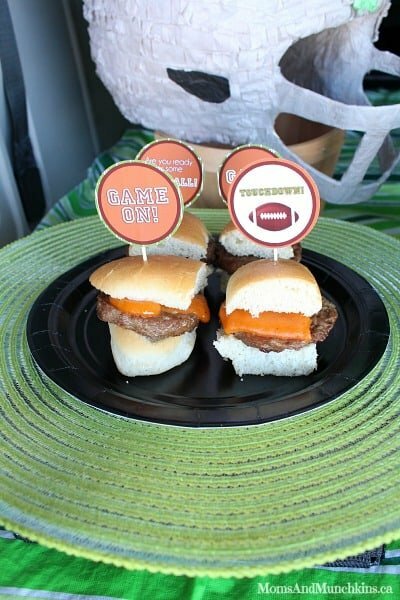 Your football tailgate party can be held right in your own yard simply by loading all of your treats into the back of your vehicle. It’s easy to transport this party to a local park or even outside the football stadium. Don’t have a truck? No problem! 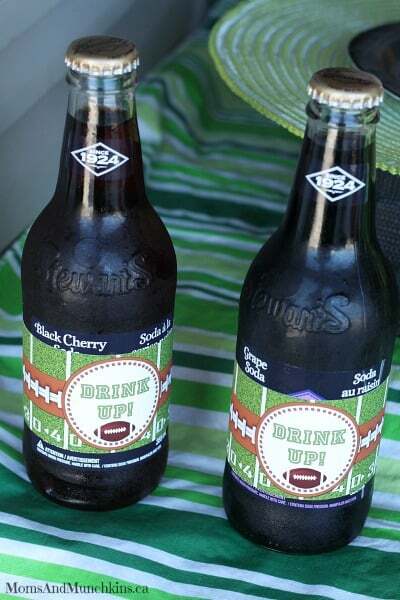 A minivan or SUV work great for a tailgate party as well. 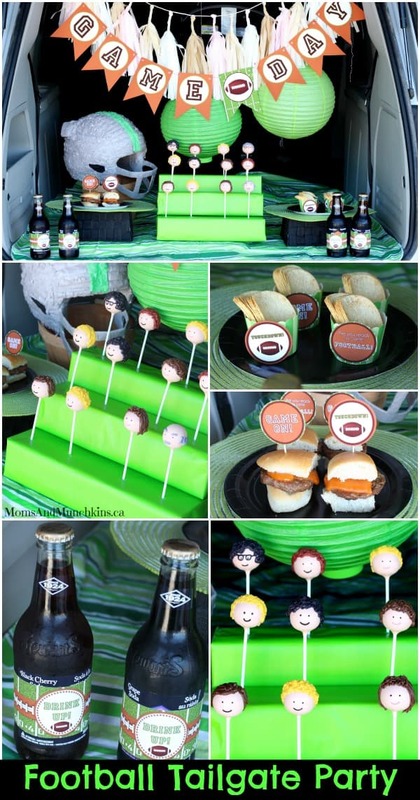 For this party, I served hamburger sliders, chips stacked in cupcake wrappers and pop along with the most adorable football fan cake pops by Celebrations Cake Pops. 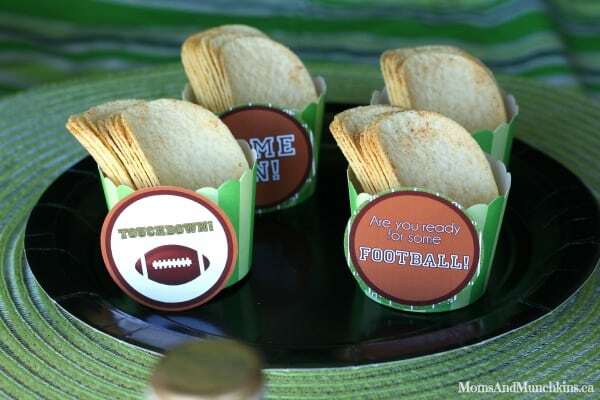 The printable party set by Forever Your Prints can be used in so many ways to decorate “plain” party supplies to fit your football theme. 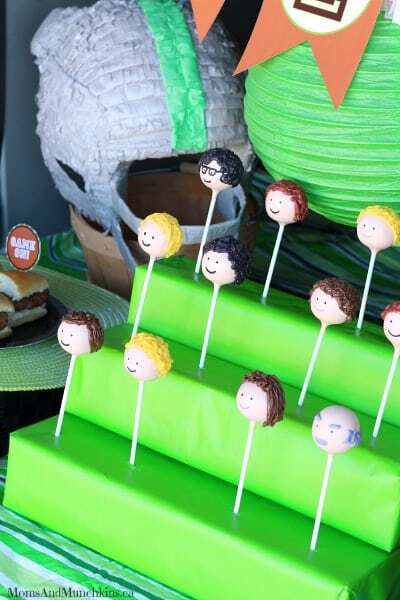 Do the party printables look familiar? 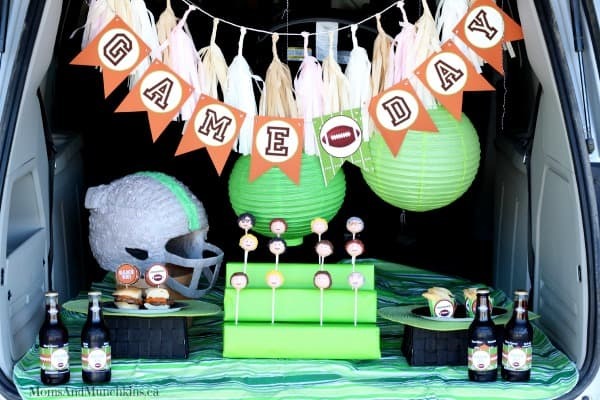 I used the same set last year in this Football Party. Seriously, could these football fans be any cuter? They were almost too cute to eat! 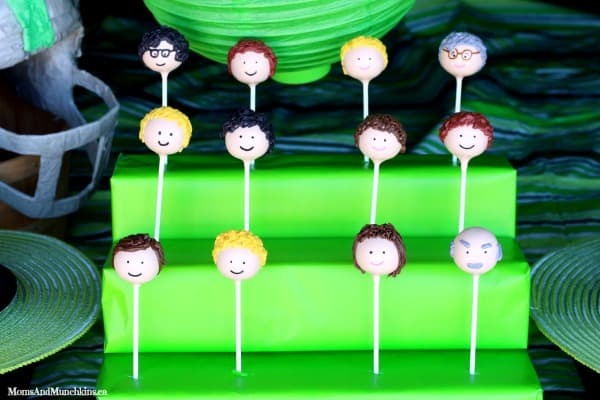 Check out this post on how to make the easy fan bleachers for cake pops. They actually come in handy if you’re a party lovin’ momma like I am. I’ve used them for a few parties here already. 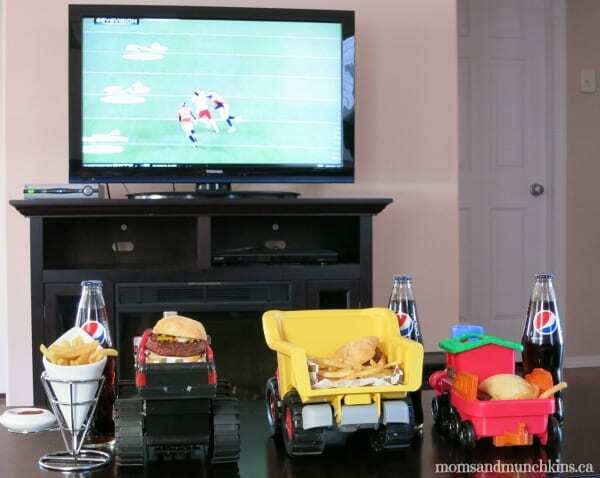 For a fun indoor football tailgate party, check out this idea for serving game day snacks in the back of your child’s toy trucks. An adorable idea that the kids are sure to love. Be sure to pop over to Calgary’s Child Magazine online (or grab your free print copy in Calgary) to read the full party article!